This Post has already been read 2277 times. 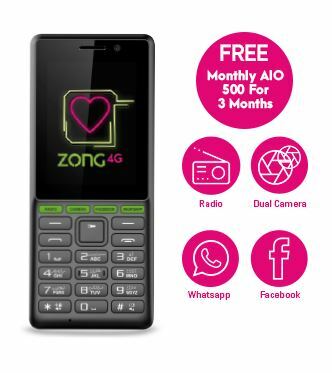 Zong introduces a 4G-enabled feature phone named ‘Digit 1’ along with free Hybrid Offer (Free AIO 500) which includes free minutes, SMS and MBs. Jazz also introduced the same feature phone with its own offer. You can check it here. To Self pickup the phone click here. To get it via home delivery click here. Warranty: Digit 1 has the one year warranty starting from the sale date of Swiftbiz.